Slit the aubergines in half and soak in cold water. This quickens the frying process later and makes it less fatty as they don’t soak up the oil the minute they’re in the pan. Take the yoghurt out of the fridge, add salt and mustard to the pot and stir vigorously. In a frying pan, fry the aubergines in batches and leave to rest on a plate draped with kitchen towels. This will soak any excess fat off – you get the general idea. In the remaining oil, fry the curry leaves and add the chilli powder. Turn the cooker off and leave the pan and curry leaves to cool slightly for five minutes. Then add the yoghurt mixture and finish off by arranging the aubergines in it. 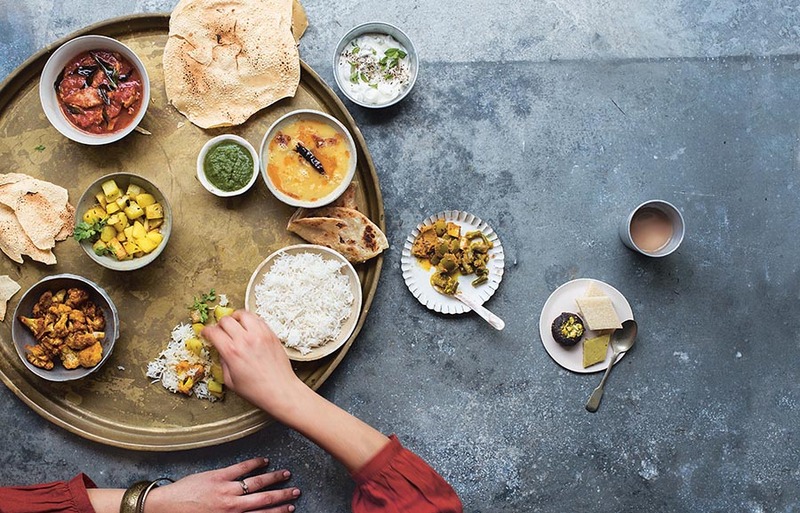 This dish is delicious with rice or pitta bread and the perfect accompaniment to dhal. Not a moment too soon – the website would be incomplete without a Baigan recipe. I have actually eaten another of the Basu’s Baigan delights. You won’t be disapointed! 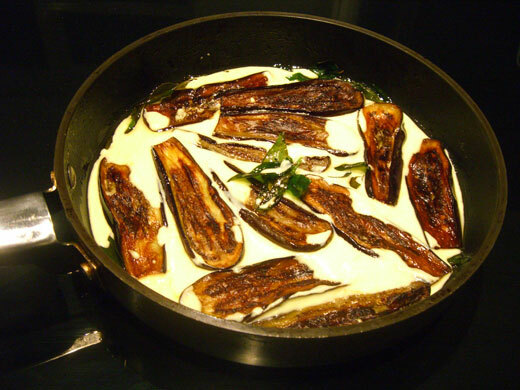 I have made Aubergine delight for two days.It’s fantastic.Want to see more special from you. wow, this sounds fab! i’m a huge aubergine fan!